Team building games can be a great way to unite the team and increase its efficiency, but only if the exercises are done properly. 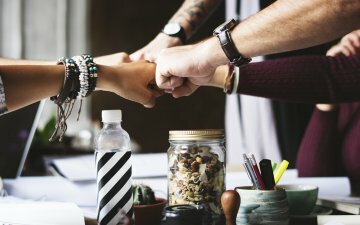 What do you need to consider when you think your team needs a team building? What do I want to achieve by organizing such an event? Think well about the idea and think about what your team needs in order to work effectively. Whether your employees need to know each other more, whether there are conflicts in your team, whether they can work together or there is always someone who focuses only on their own success. How and where to do it? Your opportunities for a place to do a team building are many — from the office, to the nearby park, the mountain or a weekend at some popular resort. The games you could include are also countless. From those requiring more preliminary preparation, to entertainment in Bansko, sports games, visits to escape rooms, etc. Rent a country house away from the city, divide your people into teams and give them tasks to deal with. One team can in charge of buying produces for dinner, the other – prepare the dinner, and the third — take care of the firewood or serve dinner. You can also choose entertainment in Bansko during the weekend. In recent years, the town has not only been a very popular tourist destination but also an attractive place to host various team building programs. Just remember that you did not invite your colleagues on a vacation, but to a team building, so make a plan for how to spend the weekend. Prepare some group activities, team games, solving logical puzzles and even an improvised singing, dancing or other competition. A good idea would be to surprise your colleagues with some fun gift showing their character or how the other colleagues in the office perceive them. 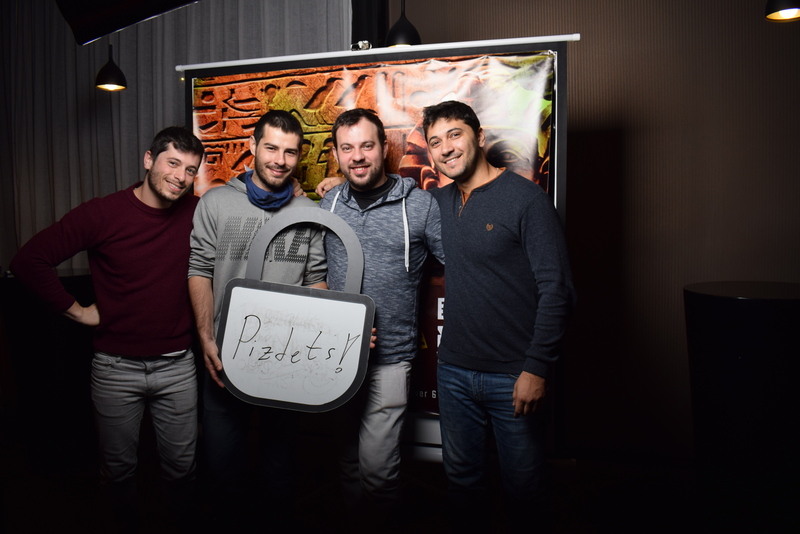 Escape rooms are among the most preferable choice for conducting teamwork exercises not only in Bulgaria but also in the world as they give managers the ability to visually see the team level of their employees and if they have to improve it within a single game. 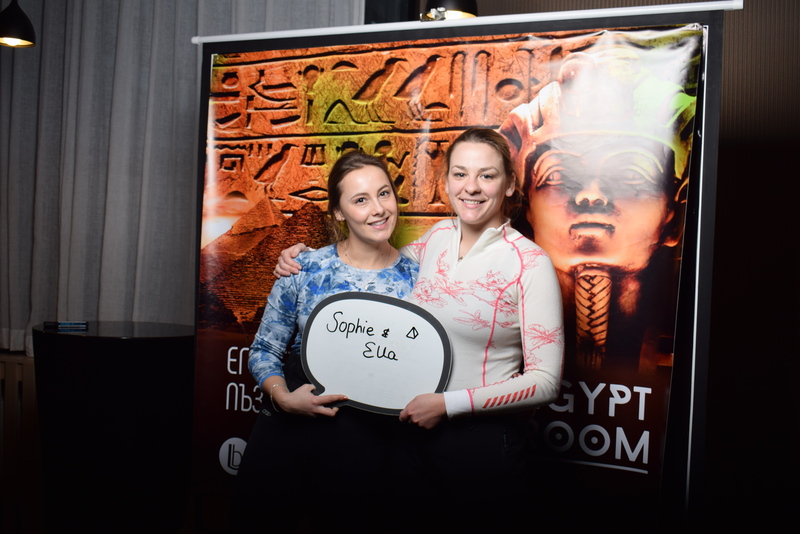 The games the different escape rooms offer are interesting, entertaining, require logical thinking and teamwork. There are many escape rooms in Bulgaria, so there is no problem to simply choose one and have fun with your team. During the game you will understand to what extent your employees can work as a team and what you need to work on more if something is not right in their relationship. Remember that the good manager is also a leader and it is good to join the games together with your team. Like in escape rooms, teamwork in treasure-hunting is also very important. You can also organize treasure hunting without having to look for organizers of similar business events. You just need a room where you can hide small gifts in different places — surprises that your staff divided into teams will have to find. In Europe, role playing in recreation of criminal novels, in which participants play certain roles, are among the preferred team building games by managers. The objective of the game is to find the “killer” or “thief” among the guests. And this game is very similar to the team building games from the escape rooms with the difference that the time to solve the riddle may be longer and the players are dressed in costumes according to the theme of the game. If you remember this popular reality show years ago, then it is clear to you why this form of team entertainment is recommended. Of course, in order to organize such a team building you will need more time and preparation, but the efforts will be completely worth it. Team games with a racing element carry not only a lot of laughter and fun, but also people put in a similar situation get to know each other, learn to rely on each other and support each other to achieve the common goal. A few years ago paintball was among the most popular ways to entertain and bring teams together. Today, escape rooms have outshined paintball as a form of team building but that in no way means that you cannot organize a paintball game with your team to add to the fun in Bansko. Orientation on an unfamiliar terrain is also an extremely attractive and entertaining game that assists not only the physical activity of the team, but also promotes skills such as the ability to monitor, correctly assess the situation, increases reactions, mental activity, and so on. Mountain orientation enables the team to get to know each other and act together if they want to complete their task before everyone else. Rafting itself is a fun sport which requires teamwork, so it is also a very good solution for organizing a team building. For the organization of this event you can use Bansko again as a base for staying with your team. By including rafting among the entertainment activities in Bansko you will have a great team building, and in the evening you can enjoy the delicious Bansko cuisine along with your whole team. Because every manager knows that in order for their team to work well, the team must be well-fed at the end of an emotional day. The goal of the teambuilding exercise is for the teams to plan a trip. Participants are divided into groups with an equal number of players in each group. Each group has paper, pen and a map at hand. Instruct the teams to draw up an example of a holiday plan that has to be planned within certain parameters. Give each group a list of directions that include the start and end points of the destination, the money they can have, the transportation they will need to travel, and so on. Within 30 minutes, each group must prepare their travel plan without exceeding the money limit you have allocated to them. Mine field is a game for which you'd need a bigger space. You can organize it as part of the entertainment activities in Bansko or in the park near your office and the game will be as fun and interesting. On a large terrain, place various obstacles. Use whatever you have at hand — balls, chairs, cones, etc. Divide the participants into pairs. One member of the couple must pass through the field blindfolded and only guided by their partner who only directs them verbally. The purpose of this exercise is for colleagues to learn to trust each other, listen to their words and learn to communicate in a more effective way. Separate your colleagues in pairs; when sitting, the partners’ backs have to be against each other. Give a piece of paper to one of the partners on which a figure is drawn, and to the other — a blank piece of paper and a pencil. The task is as follows: the person holding the piece of paper with the figure has to describe to their colleague what it is, and their partner has to draw it only according to the description of their partner. Afterwards compare the drawing to the original to see how the partners are listening to one another and whether they can communicate with each other.